The recovery process is also simple. 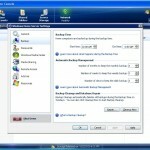 The user can view all of his/her backups and freely browse the contents. When the desired file and/or folder is found, recovery is simply a matter of dragging and dropping. The backup and recovery process ran successfully without a glitch. I had no problem backing up and recovering multiple folders. The process was extremely transparent and intuitive and required minimal IT knowledge. My only complaint is that the backup and recovery process seemed to be slow, Fortunately, WHS provides detailed reporting on backup times as shown in this screenshot. I used the data to calculate my actual throughput which was 89 MB/sec. This is very good performance considering that I am using Gigabit Ethernet. However, the speed on my first full backup was 49 MB/sec. In my opinion, the performance is adequate. File recoveries are simple too. 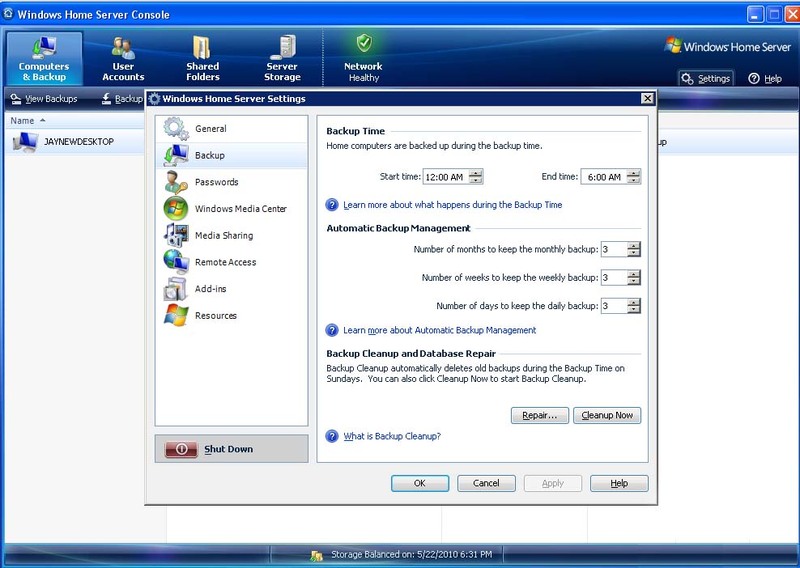 You first choose the backup that you would like to recover and then choose the drive letter to restore. There is a long wait while the console communicates with WHS and then you are presented with an explorer like view of the files that were protected. The process works smoothly, but can be difficult if you are not sure when your file changed. In this case, your only option is to perform the recovery process described above multiple times to find the backup containing the desired file. It can be a slow and tedious process. It would be better if you could click on a file and automatically view the various versions. Microsoft also provides a recovery CD for your desktop OS. If you have a complete disaster, you can boot off of the CD and WHS will automatically restore your data. I did not test the process, but it appears to be simple; however the challenge is that the recovery CD does not include every possible system driver and so the process may require manual driver installation. This is the same process that you would go through with a new Windows installation, and it would be nice if MS could automate the process. The final consideration is that effective use of WHS requires that you leave the WHS server running constantly. Similarly, systems protected must be running or at least hibernating to enable backups to take place. The result is that WHS will increase your electric bills. This is not a unique concern for WHS, but certainly is a consideration when looking at costs. In summary, WHS does a good job with backup and recovery. Its wizard interface simplifies the often complex task of scheduling and managing backups, and the recovery process is transparent and foolproof. While I had initial qualms about performance, the realized numbers were good. As a pure backup and recovery target, the WHS is highly recommended. However, Microsoft positions WHS as more than just backup and recovery and in the next section we will discuss NAS functionality.